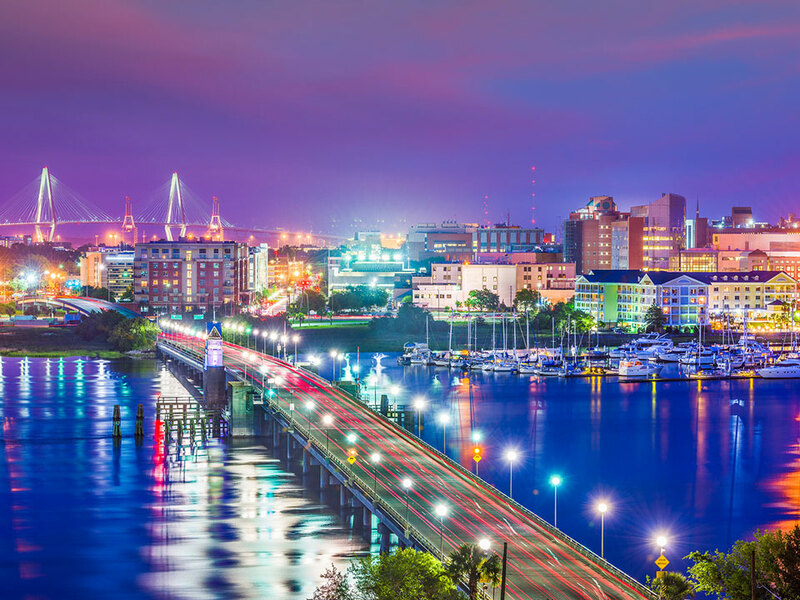 Whether you are vacationing in Charleston or live here and have a special occasion coming up, there are a ton of epic things to do that you can’t do anywhere else on Earth. 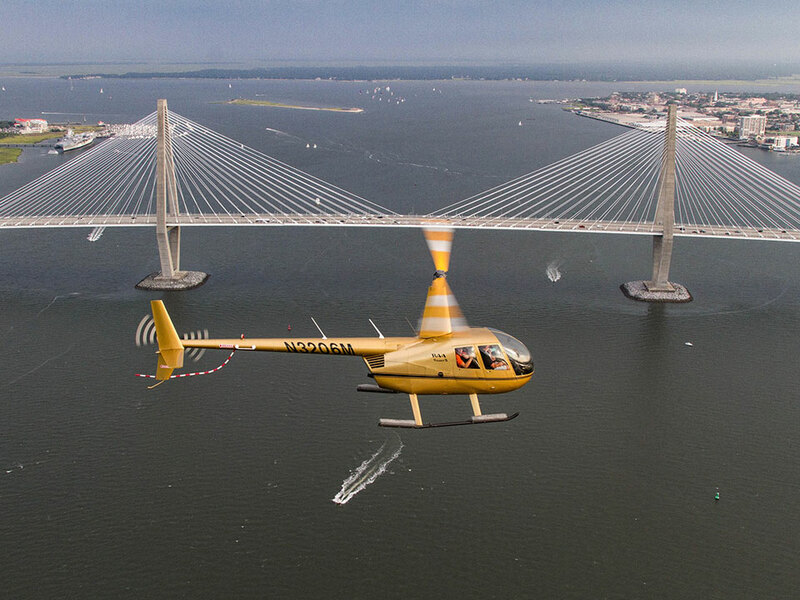 To make your vacation or special event more spectacular, try one of these five bucket-list items in Charleston this weekend. It just might be one of the most epic times of your life! What is better than seeing Charleston on foot? Viewing it from above. Get an aerial view of the Holy City from the thrilling ride of a helicopter. Holy City Helicopters offers different types of day tour packages, sunset tours, and flight lessons. So, make a day of it or learn to commandeer your own ride. Also, make sure to take some of the most amazing photos to commemorate your fantastic trip from a bird’s eye view! 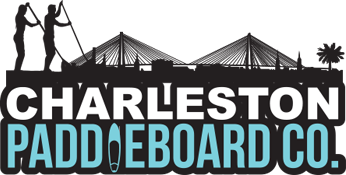 SUP Tour with Charleston Paddle Co.
Paddleboarding is all the rage in Charleston. Not only is it a great way to get out in the sunshine and see some pretty amazing things sea-side, it is an excellent way to get a little exercise. Once you get the hang of it, you will be sailing around Charleston waterways with ease. Bring the whole group for a day of fun and sun while catching the exotic wildlife of South Carolina in its natural habitat. If you are looking for the best party on the go, then a Saltwater Cycle Tour should definitely be on your to-do list. 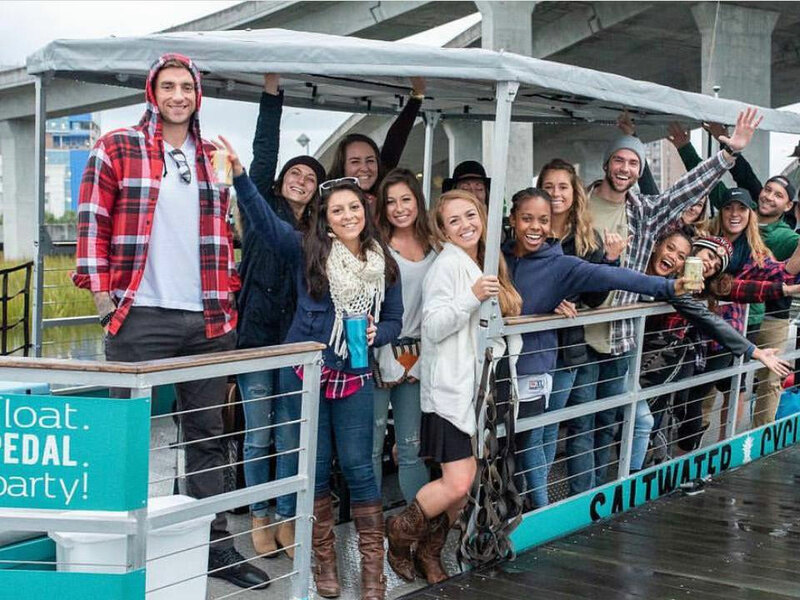 Grab your besties, a couple of cocktails, and hit the ocean for a day of sightseeing! Spend the day with no agenda and no hustle and bustle. It is one of the best ways to enjoy an afternoon of debauchery while enjoying your favorite peeps! King Street is one of the most iconic places to go in Charleston with reason. There is no shortage of amazing restaurants, bars, or shopping. You can spend an entire day and night perusing King Street going from one establishment to the next. And the best part is everything that you need is within walking distance. During the day, enjoy the street musicians who get the crowd going. Or, at night, hop the bars for some crazy-fun nightlife! Every day is party day on King Street, and although a party really is what you make of it, King Street has all the necessary tools to make it epic! If surfing is more your speed, then Folly Beach is the place to be. Even for the seasoned pro, the “Washout” is where the best waves in South Carolina will challenge everyone from beginner to expert. A little-known gem, Folly Beach has been rated one of the best places to surf in the United States. So, why not try your hand at it? 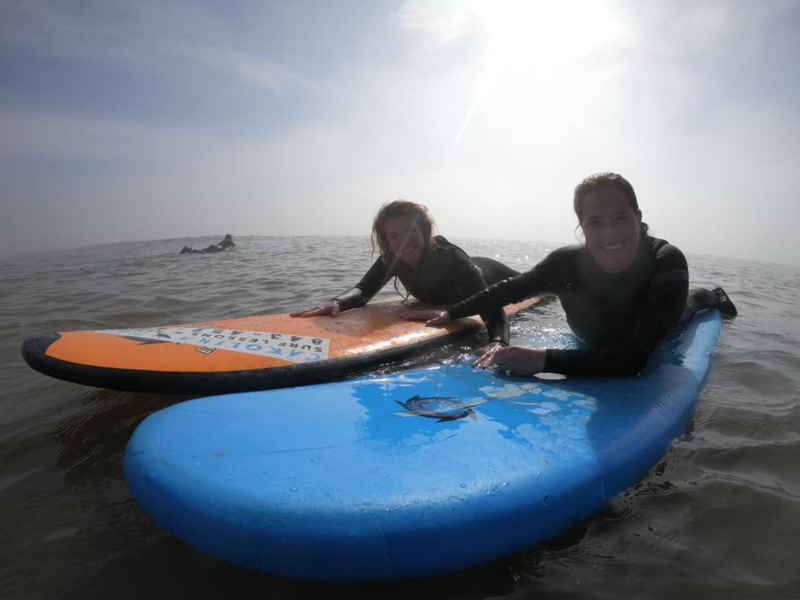 And if you are a beginner, there is no better place to learn to surf the waves than in Charleston, SC! Surf lessons Folly Beach-style are a definite must! If you are visiting Charleston on vacation or looking for something to do for a special occasion, these are five must-do bucket list items! 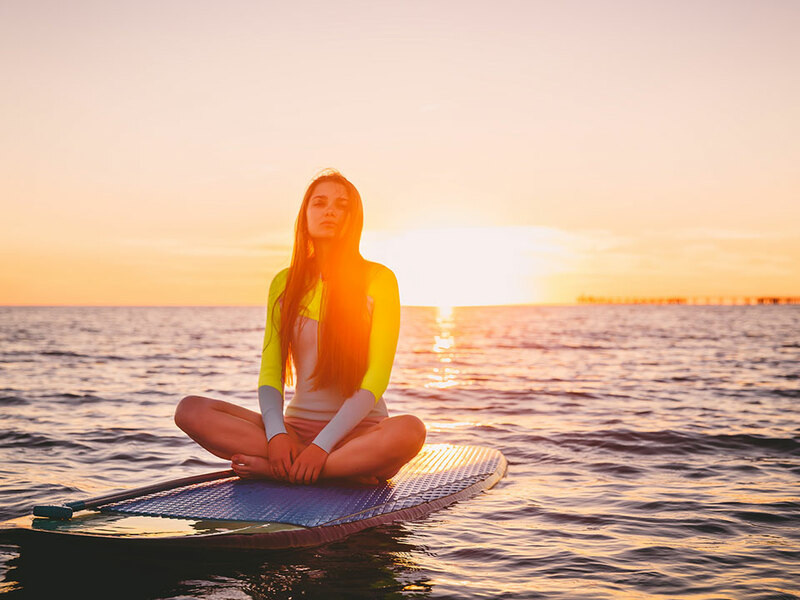 From surf lessons Folly Beach-style to taking a Salt Water cycle tour, you can be assured to have an epic time and one that you will never forget. But to make sure that there is space, reserve your spot ahead of time so you won’t miss the boat, the paddleboard, or the surfboard! 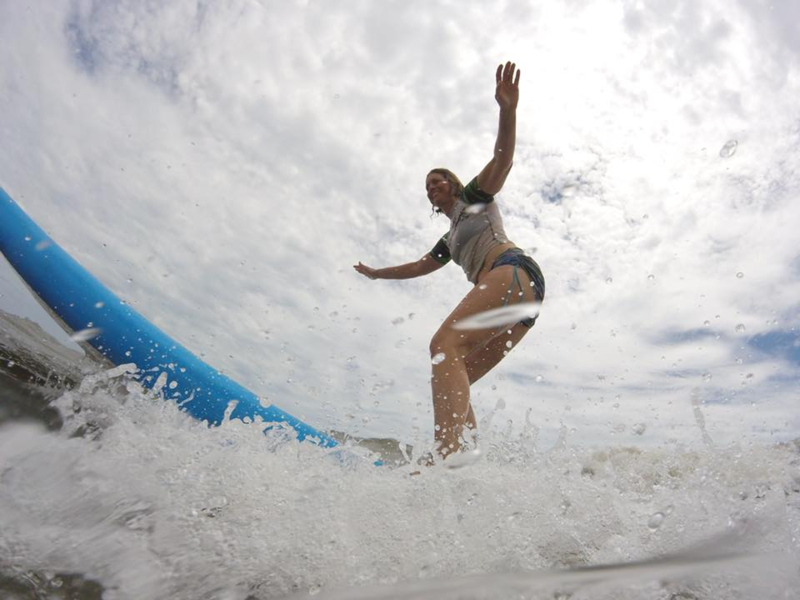 Previous Previous post: 5 Reasons to Learn How to Surf With Kyle Busey and Carolina Salt Surf Lessons at Folly Beach!